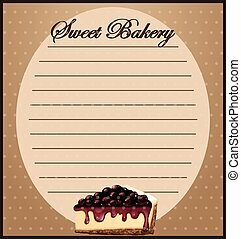 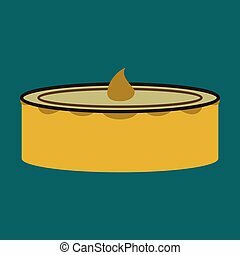 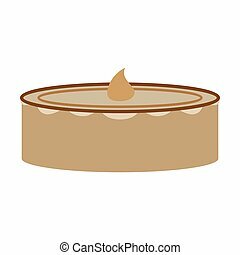 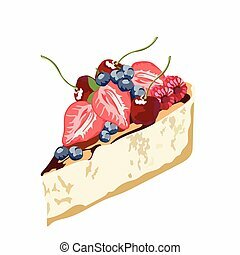 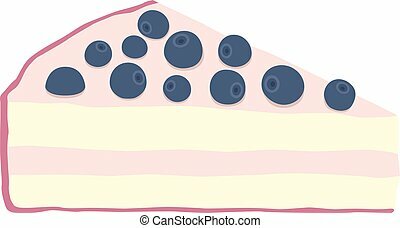 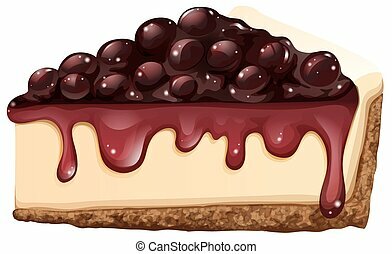 A vector illustration in eps 8 format of a slice of blueberry cheesecake with biscuit crust creamy cheese filling and sweet blueberries on top with a white background. 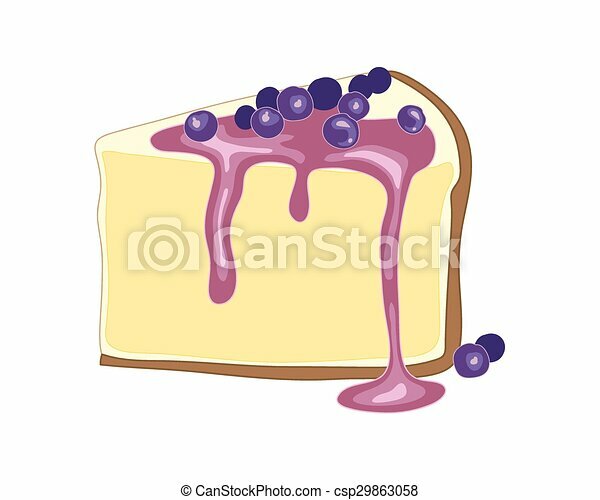 Blueberry cheesecake illustration in flat style. 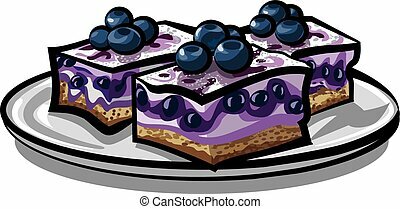 Isolated cake with berries. 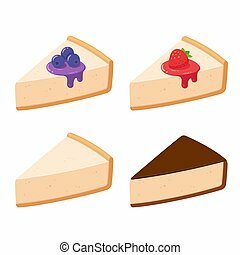 Cheesecake slices set with different toppings. 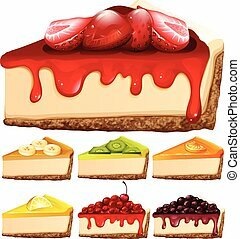 Fruits and syrup (blueberry, strawberry), plain vanilla and chocolate glazed. 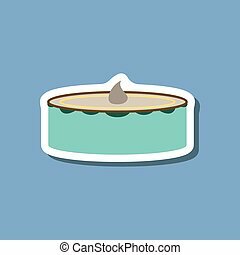 Isolated vector clip art illustration. 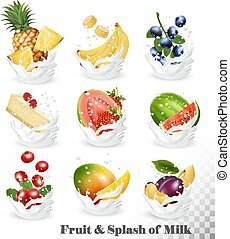 Big collection of fruit in a milk splash. 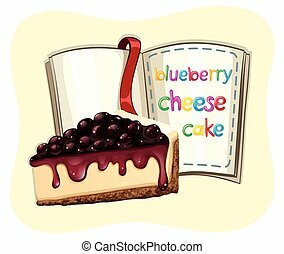 Pineapple, mango, banana, pear, watermelon, blueberry, guava, strawberry, cheesecake, grawberry, raspberry. 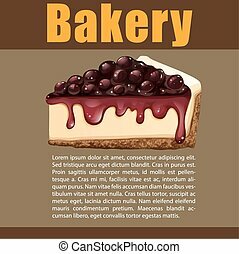 Vector Set 10.